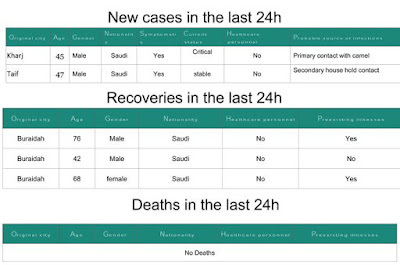 Although the (largely nosocomial) outbreak in Buraidah has been the big MERS story coming out of Saudi Arabia the past couple of weeks, we've also seen an increase in the number of sporadic community acquired cases emerging from around the country. Some are linked to camel exposure, a few are the result of house hold exposures, while for others, their source of infection is unknown. Today's focus moves from Buraidah to Al-Kharj, where last month we saw several primary MERS cases linked to camel exposure, along with secondary cases. 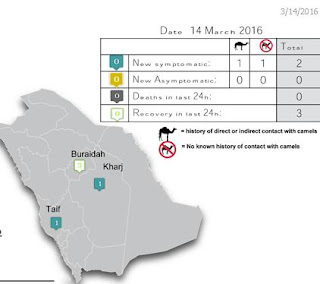 Today, we've another critical case in Kharj (45, M) listed as a `Primary contact with Camel'. 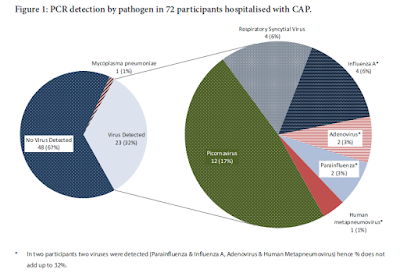 Since the 1st of the year we've seen more than 20 MERS cases in Saudi Arabia attributed to camel exposure. Last Thursday Taif reported a 75 y.o. male in critical condition as a `Primary Contact with Camel' (reported to have died on the 11th). Today we've a report of a 47 y.o. male in stable condition who is listed as a `Secondary House Hold Contact'. It is not certain whether these two cases are related. And finally a little good news, three recoveries in Buraidah, which has seen at least 9 deaths in the past couple of weeks.